Two young boys were critically injured Monday afternoon after being ejected from a car during a crash on Chicago's South Side, Chicago police said. 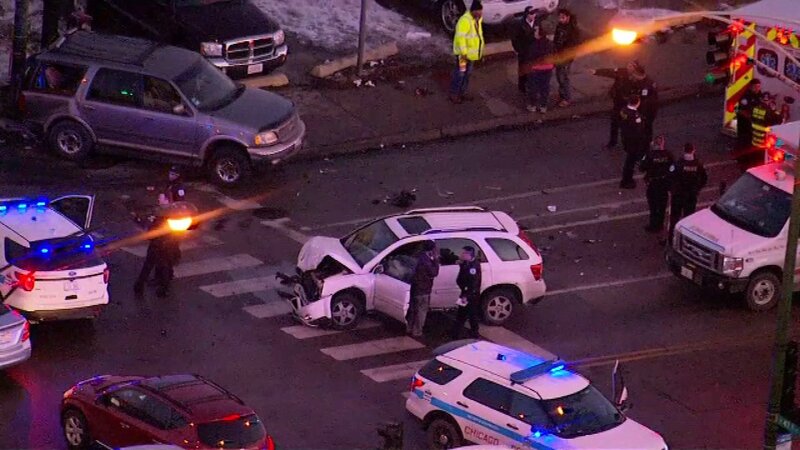 CHICAGO (WLS) -- Two young boys - ages 6 and 8 - were critically injured Monday afternoon after being ejected from a car during a crash on the border of Chicago's Back of the Yards and Canaryville neighborhoods, Chicago police said. At around 4:30 p.m., the driver of a Ford Expedition was travelling eastbound on 47th Street when he failed to come to a stop and ran a red light at South Halsted Street, colliding with a Chevy Equinox driven by a 61-year-old man. The boys were passengers in the Equinox, police said. Both were transported to Comer Children's Hospital in critical condition. No citations had been issued Monday evening.